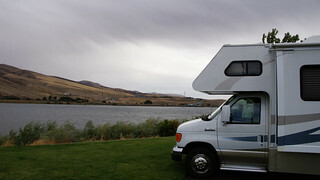 With spring just around the corner, it’s a great time for a “spring break” RV trip. Whether you’re heading to the Grand Canyon or planning your getaway a lot farther from home, you’ll want to make the trip safely. At Mosaic Insurance, we want you to travel safely too. Here are some great tips to help you get out there and back without worry, because nothing can ruin an RV trip faster than trouble on the road. Of course, knowing the features (and limitations) of your RV is the first step to safely driving it. Are you towing a car? Be mindful of how that will affect your stopping power and maneuverability. Know the dimensions of your vehicle to help with parking and any tight spots you might encounter on the road. Make sure you know that you can fit under the overpasses and bridges on your route. And even if you’re just a passenger, it’s a good idea to learn how to drive the RV as well. You might need to take over in an emergency or other situation. Just like a car, keeping your RV well-maintained is extremely important. Are your tires in good shape and properly inflated? If you’re towing a car or boat, do you need additional braking power? Are your mirrors angled correctly? Is your safety equipment (for example, your fire extinguisher) in good working order? Doing a walk-around and conducting some quick checks before you leave can save you a lot of frustration down the road. Your RV is much bigger than a car, of course, and that means you need to act more carefully when you’re driving it. Know your blind spots and use caution when changing lanes, merging or turning. Be patient and aware at all times. Consider installing a rear camera to help give you a complete picture of your surroundings. Other vehicles may act aggressively to get around you, and sometimes will cut you off once they have passed. Prepare for these situations and understand that many drivers don’t realize that you need additional space in front of the RV. Because your vehicle is far heavier than others, it picks up speed faster when going down hills or mountain passes, so keep an eye on that speedometer. It’s best to have someone to guide you into a parking spot. If you don’t have anyone with you, check out the area before you try to pull in. Practice turns and backing up before you leave on your trip. Of course, never park for the night in an area unless you have approval or know that it’s safe. Consider taking an RV driving safety course, if possible. At the very least, practice in a large parking lot before hitting the road. Taking a little time to learn how best to drive your RV or improve your skills can have a big impact for you and your family! Remember to give us a call at 928-458-7374 when you need coverage for your RV or anything else. We’re here to help!